← So this is the New Year…How Do I Keep the Fast Forward!™ Momentum? I’m ecstatic about featuring some of the most inspiring ladies I’ve had the pleasure of knowing intimately, professionally and from afar. Starting tomorrow and each weekday during the month of March, I will be highlighting powerful ladies of different cultures, ages and business backgrounds who have enormously encouraged my growth along my personal and professional journey. Stay tuned…you will learn so much from these phenomenal women! 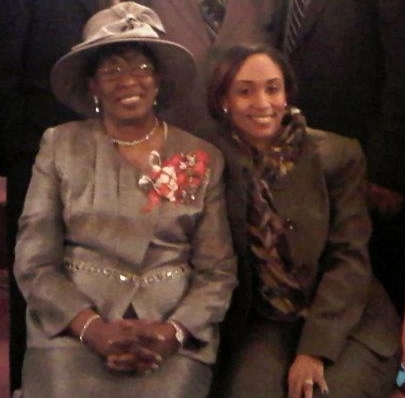 <–It’s not a great photo, but of course, this was my first SHERO in my life…the epitome of a lady, and she will forever be my inspiration! This entry was posted in Legacy Lessons from the C-Suite, The CEO Pundit™ and tagged Business, Candace Reese, CEO, Change, Empowerment, Empowerment Speaker, Encouragement, Entrepreneur, Envision Global, Executive Coach, First Lady, Inspiration, Inspirational Coaching, Ladies Making History, MichelleObama, Motivation, Networking and Peer Support, People, Personal Development, Philanthropy, Purpose, Self-Improvement, Teamwork, United States, Women, Women's History Month. Bookmark the permalink.